Morocco sent an emergency humanitarian aid to Bangladesh in order to support the country’s efforts to cope with the massive influx of refugees from the Muslim minority of the Rohingyas who have fled Myanmar, the ministry of Foreign Affairs and International Cooperation announced. This humanitarian action was taken upon high instructions of King Mohammed VI and includes shipments of tents, covers, basic food and medicines, it noted. 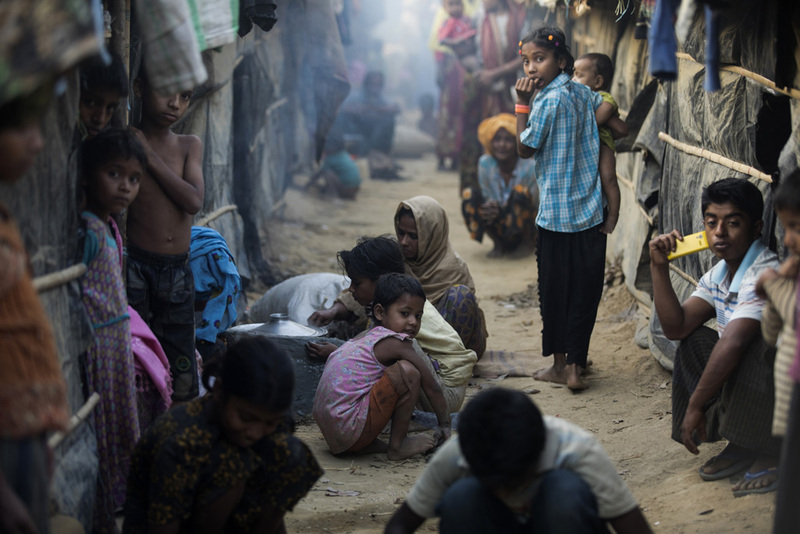 Bangladesh is bracing for a massive humanitarian crisis because of a lack of food, sanitation, medicines and even basic housing following the exodus of as many as 350,000 Rohingya Muslims from Myanmar, fleeing violence in which at least 1,000 were killed in just two weeks. The pace of displacements internally and externally was worsened by the fighting between Insurgents from the Arakan Rohingya Salvation Army (ARSA) and the Burmese army. Rohingya insurgents have called for a month-long ceasefire starting Sunday in order to allow humanitarian aid to reach those affected by the conflict. The United Nations human rights chief Monday lashed out at the treatment of the Rohingya in Myanmar which has led to more than 300,000 people fleeing to Bangladesh in the past three weeks, as security forces and local militia reportedly burn villages and shoot civilians. Written by: Jaber Ali on September 12, 2017. Posted by Jaber Ali on Sep 12 2017. Filed under Headlines, World News. You can follow any responses to this entry through the RSS 2.0. Both comments and pings are currently closed.